Hardcastle Restaurants, McDonald's franchisee for West and South India operations, will invest up to Rs. 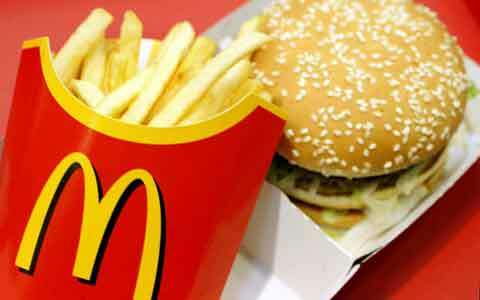 850 crore to add 250 outlets of the US fast food chain within 3-5 years, says a PTI report. "We will invest Rs. 800-850 crore in the next three to five years to open 250 outlets in the West and South regions. This investment includes adding 175 to 200 McCafe coffee shops," Hardcastle Restaurants Vice-Chairman Amit Jatia told PTI. McCafe, which was introduced in India in October 2013, is opened within a McDonald's outlet. At present, Hardcastle operates 192 McDonald's outlets. On growth plans, Mr Jatia said: "We have been evolving continuously. We have been re-imaging our outlets, adapting menu and expanding rapidly to grow in the Indian market. On the menu side, in the next 5 years we will do a lot more to bring McDonald's global products in India." When asked about the increasing competition in the burger category from players like KFC and Dunkin' Donuts, Jatia said: "McDonald's will continue to have a leadership position in the burger space. I believe that competition will only grow the western fast food segment of the market. India market is huge and there is ample space for all players." Mr Jatia said though same store sales have been on a decline due to negative consumer sentiments owing to economic slowdown but with a new government, he expects it to improve in the next 6-12 months. Further, McDonald's operations in North and East regions in India were used to be run by Connaught Plaza Restaurants through a joint venture with the US fast food chain. However, the partners are currently involved in a legal spat over management control.